PFC Hector Albert Cafferata, Jr.
Hector Albert Cafferata, Jr. was born on 4 November 1929, in New York City to Mr. and Mrs. Hector A. Cafferata, Sr. of Montville, NJ. He attended elementary school at Parsippany-Troy Hills, NJ, and high school at Boonton, NJ. Starting as a sophomore in high school, he played football for three years, and following graduation, he continued as a semi-pro. In 1943, he was employed by the Sun Dial Corporation of Caldwell, NJ. 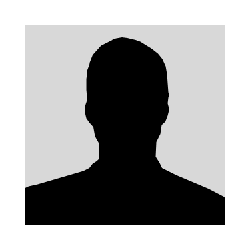 He enlisted in the Marine Corps Reserve on 15 February 1948, and was a member of the 21st Reserve Infantry Battalion at Dover, NJ, until called to active duty on 6 September 1950. 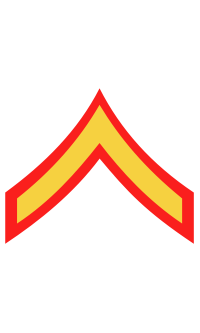 After training at Camp Pendleton, CA, PFC Cafferata embarked for Korea in October 1950, joining the 2nd Battalion 7th Marines, 1st Marine Division (Reinforced). Cafferata distinguished himself during the Battle of Chosin Reservoir, single-handedly holding off a regimental-sized enemy force and "annihilating two enemy platoons" after most of his comrades had fallen. When a live grenade fell into the shallow entrenchment occupied by his wounded fellow Marines, he grabbed the grenade and hurled it away - saving the lives of many, but suffering severe wounds. For these heroic actions, he would later be awarded the Medal of Honor. He was evacuated to Japan in December 1950. Cafferata returned to the United States the following month for treatment at the U. S. Naval Hospital, St. Albans, NY. He was placed on the retired list on 1 September 1951. On 24 November 1952, President Harry S. Truman awarded the Medal of Honor to PFC Cafferata during ceremonies at the White House. 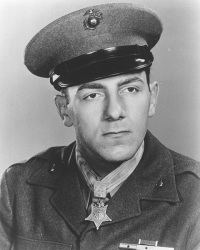 PRIVATE HECTOR A. CAFFERATA, JR.
For conspicuous gallantry and intrepidity at the risk of his life above and beyond the call of duty while serving as a Rifleman with Company F, Second Battalion, Seventh Marines, First Marine Division (Reinforced), in action against enemy aggressor forces in Korea on 28 November 1950. When all the other members of his fire team became casualties, creating a gap in the lines, during the initial phase of a vicious attack launched by a fanatical enemy of regimental strength against his company's hill position, Private Cafferata waged a lone battle with grenades and rifle fire as the attack gained momentum and the enemy threatened penetration through the gap and endangered the integrity of the entire defensive perimeter. Making a target of himself under the devastating fire from automatic weapons, rifles, grenades and mortars, he maneuvered up and down the line and delivered accurate and effective fire against the onrushing force, killing fifteen, wounding many more and forcing the others to withdraw so that reinforcements could move up and consolidate the position. Again fighting desperately against a renewed onslaught later that same morning when a hostile grenade landed in a shallow entrenchment occupied by wounded Marines, Private Cafferata rushed into the gully under heavy fire, seized the deadly missile in his right hand and hurled it free of his comrades before it detonated, severing part of one finger and seriously wounding him in the right hand and arm. Courageously ignoring the intense pain, he staunchly fought on until he was struck by a sniper's bullet and forced to submit to evacuation for medical treatment. Stouthearted and indomitable, Private Cafferata, by his fortitude, great personal valor and dauntless perseverance in the face of almost certain death, saved the lives of several of his fellow Marines and contributed essentially to the success achieved by his company in maintaining its defensive position against tremendous odds. His extraordinary heroism throughout was in keeping with the highest traditions of the United States Naval Service. • The Hector A. Cafferata Jr. Elementary School in the Lee County School District, Cape Coral, FL, named in Cafferata's honor, is the first school in Florida to be named after a living Medal of Honor recipient. • Hector Cafferata Jr. also has a street named for him - Cafferata Court - in Montville, NJ.